The American Department of Homeland Security is being asked to review a case involving a man accused of stabbing an Edmonton police officer and running down pedestrians in 2017. In a letter dated Dec. 20, 2018, Republican members of a House of Representatives committee asked the deputy inspector general in the Department of Homeland Security to review the case of Abdulahi Hasan Sharif. 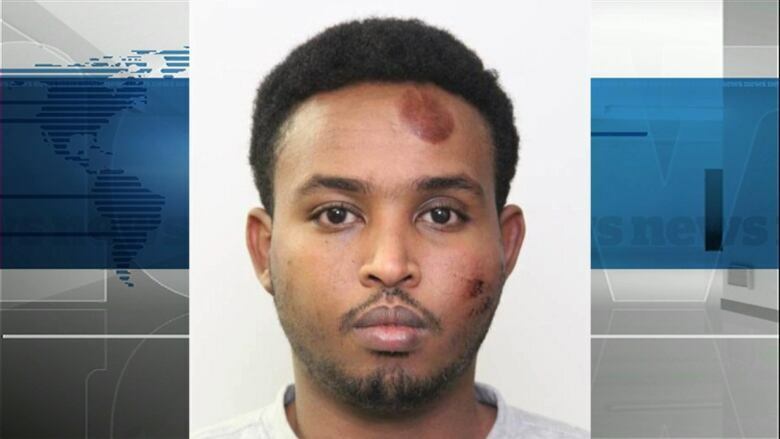 Sharif is accused of hitting a police officer with his car, stabbing him, then using a van to plow into several pedestrians in downtown Edmonton in September 2017. He is scheduled to go on trial for five counts of attempted murder and several other charges later this year. Edmonton police initially characterized the case as a terrorism investigation, but no terrorism-related charges were ever laid against Sharif. U.S. officials have previously confirmed that Sharif had arrived in the United States on foot from Mexico in July 2011. He was transferred into the custody of U.S. Immigration and Customs Enforcement (ICE) and later ordered deported to Somalia. But Sharif was released in November 2011 due to "a lack of likelihood of his removal in the reasonably foreseeable future." He crossed the border into Canada in 2012 and was granted refugee status. In the letter, penned by then-Republican representative from South Carolina Trey Gowdy, the committee states it is "deeply concerned the vulnerabilities existing in 2011 — which allowed this individual to enter, be released, and transit through the U.S. — may still exist today." The request was made just after the midterm election which changed the balance of power in the House of Representatives and amid U.S. President Donald Trump's repeated demands to curb immigration to the United States and tighten its borders. Terry Terriff, a University of Calgary political science professor, said the letter is a way for Republicans to signal to their base that the party is concerned about the vetting process for people crossing the border. "It's a way of articulating ... their concerns about the process by which ICE is processing these people," he said. "It gives them a way to poke at their concern that ICE has only been focused once they detain people on compliance issues, not vetting people they may have detained or identified for further background in terms of security checks." Terriff said it's unlikely that one letter will spur an investigation by the Department of Homeland Security. The Department of Homeland Security did not respond to a request for comment on whether an investigation will take place.